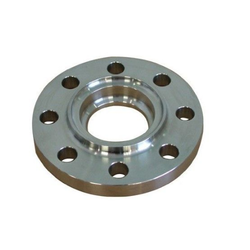 We Swastik Iron & Steel Co., are one of the leading Manufacturer, Exporter & Supplier of Mild Steel Flanges. IS 2062 GR.A , IS 2062 GR.B , IS 2062 E250BR , IS 2062 E350. 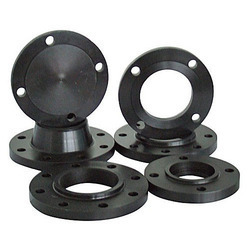 We Swastik Iron & Steel Co., are one of the leading Manufacturer, Exporter & Supplier of Carbon Steel Flanges. 150 LBS, 300 LBS, 600 LBS, 900 LBS, 1500 LBS, 2500 LBS AND DIN STD 6, 10, 16, 25, 40. We Swastik Iron & Steel Co. one of the leading Manufacturer, Exporter & Supplier of Slip on Flanges. At Swastik Iron & Steel Co., we strive to understand customer requirements in detail and then suggest the most suitable CNC plasma cutting services to them. The team having nearly two decades of experience recommends the appropriate CNC plasma cutting job works to the clients making their desired activities faster and easier. Swastik Iron & Steel Co.is the leading Indian company offering excellent CNC A516 Grade 70 Plate Profile Cutting Services takes pride in the careful analysis of clients needs and advising the right CNC plasma cutting services to them. Our team of skilled technicians leaves no stone unturned to understand your preferences and unique requirements for CNC plasma cutting job works and then offer faster and the most convenient CNC profile cutting services. Having the experience of working with diverse clients located at various industrial sectors of India, we have gained a huge clientele who has become our loyal customer base especially for CNC plasma cutting services. Our commitment doesnt stop at mere offering CNC Plasma A516 Grade 70 Plate Profile Cutting Job Works, but we would be there to offer assistance and technical support through our maintenance activities also. Flexibility plays a vital role in CNC profile cutting services; the infrastructural support and coherent capability allow us to offer the maximum of it. This high customization ability enables cost-effectiveness coupled with convenience for the clients resulting in complete customer satisfaction. 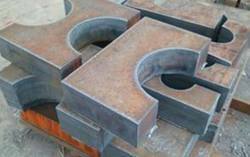 Plasma cutting steel is very favourable with many clients. Our CNC Plasma A516 Grade 70 Plate Profile cutting services are able to cut 12000mm x 3000mm x 300mm Thk. We use CNC controlled Plasma cutting facilities and is supported by the C.A.D. department that controls the cutting service. Our experience in this field allows us to deliver real benefits, such as the quality of the cut which reduces customer lead times. Our plasma cutting facility can cut up to 300mm thickness in a wide range of materials allowing this technology to substitute traditional cutting methods. Our Plasma bed can handle sheet and plate sizes up to 12000mm x 3000mm x 300mm in any required profile. Additional services such as the creation of apertures are also included in our reliable service.